Just before Christmas we began a major series of articles here in ‘Small Pressganged’ at Broken Frontier dealing with the current state of play of small press publishing in the UK. The first two-part column looked at the rapidly growing number of self-publishing comics practitioners and asked whether the audience was increasing at the same rate. Over the next few weeks we will be continuing to gather together and analyse the thoughts of British-based micropublishers, comics commentators and small pressers on important talking points surrounding the scene as we come into 2015. Today, though, I am running the first ‘State of the Small Press Nation’ guest blog from Avery Hill co-publisher and creator Ricky Miller (above with Metroland collaborator Julia Scheele at the recent Avery Hill Publishing Winter Party at London’s Gosh! Comics). Ricky’s thoughts touch on a number of issues we will be covering in the next month but within the context of the problems surrounding the greater infrastructure of UK comics publishing, retailing and distribution. Next week we’ll return to a multi-commentator look at the proliferation of shows and fairs on the small press scene but, in the meantime, if you have any points to make on Ricky’s views please do add them in the comments section below. And if you’re a UK DIY comics self-publisher, small presser or micropublisher then there’s still time to take part in upcoming columns. 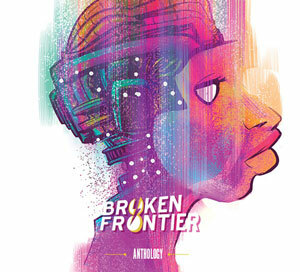 Contact me via my Broken Frontier e-mail address on our staff contact page here. For me the issue is permanent infrastructure. The first part of the infrastructure issue is the retail outlets. It’s difficult enough to reach general, mainstream comics fans, let alone the general public. The number of comics shops in the UK is constantly decreasing, and very few of those that are still around are prepared to deal with the size of indie publishers and creators we are talking about. Sale or return options are generally not worth doing unless you can actually personally go into the store as it’s not worthwhile to either party from a time or expense point of view when postage becomes involved. Shops like Page 45 and Gosh! who pay upfront and promote the books are gold dust and should be supported by our community as much as possible. Distribution is another infrastructure problem. The few distributors that exist, even if they’ll accept your work, are out of reach to most due to charges ranging from (including the retailer cut) 50-65% of your RRP. Unless you’re doing print runs of around the 4 figure mark you’re not going to be able to take that kind of hit. One-to-one distribution through an online shop is fine, but the increasing costs of sending a book through Royal Mail means customers can often be put off by the postage charge. 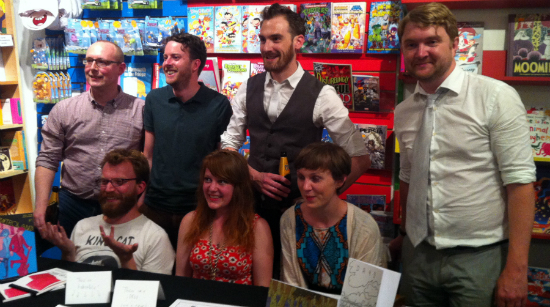 The Avery Hill Publishing editorial and creative team during the AHP Summer Party at London’s Orbital Comics. Front row left to right – Simon Moreton, EdieOP, Gill Hatcher. Standing, left to right – David White, Tim Bird, Owen D. Pomery and Ricky Miller. The main sales infrastructure for most creators at the moment is the shows. There are a lot of them and they vary wildly in quality, size and number of customers. It takes a while to figure out which ones are worth your while and for what reasons. Certain shows we do because they’re great for sales, some are great for networking/marketing, some are just good fun. You have to kiss a lot of frogs before you can settle on a good list of regular ones that you know are worthwhile. It won’t be the same list for everyone either; it very much depends on the type of work you produce, the production values and even the image you project from behind the table. Next are the media/ marketing outlets. There are a lot of internet sites devoted to comics, but not many that deal with non-mainstream and even fewer that are in the UK. There are no more than half a dozen people I can think of who actively promote/review UK indie comics and have a decent sized audience. How much of even their audience is made up of potential customers rather than industry is very hard to say. It’s difficult to know what exists outside the bubble that we operate in. Finally, there are the publishers themselves. 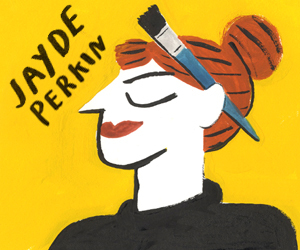 What are your options of progressing your career as a UK comics creator? You can self-publish and do okay, you can go to one of the smaller indie comics publishers and do okay, but then where do you go? Unless you win a competition from one of the literary off-shoot companies or you get a job with 2000 AD, there aren’t many options. Especially if you don’t want to go down the graphic novel route and want to do a serialised comic. You’re basically looking to the US and that’s pretty much not going to happen. I think a problem is that a lot of the established UK publishers don’t appear to actively be looking for commercial hits. I’m not saying they should start doing superheroes or stop doing some of their “worthier” projects, but they need to start taking chances and trying more projects with potential mainstream appeal. To sum up, the amount of work and numbers of creators are growing but the infrastructure to support them isn’t. This is a bad sign. The infrastructure needs to be put in place and the market grown. Shops, distribution, shows, media and the publishers. Without these things, in the long-term, the only people who can exist as a going concern are the very big players who have the resources to promote and distribute their work, and the very small players who have low overheads and can offer ‘love and care’ added value. It’s not all doom and gloom though. There are success stories. If you can put together the right amount of quality, promotion and production you can do well. 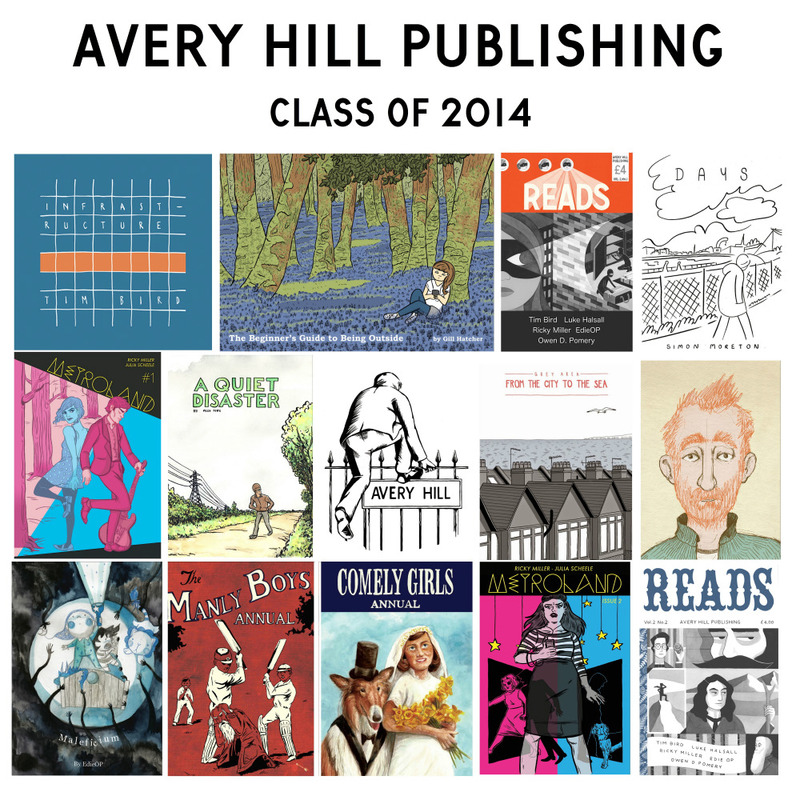 SelfMadeHero produce great work and seem to do well. Isabel Greenberg hit big over here and in the US. Rachael Smith’s House Party showed even self-publishing can work well if you have the right amount of savvy. From what I can tell, Orbital Comics, Gosh! and Page 45 have very strong, healthy businesses. Thought Bubble goes from strength to strength each year and has become the most important comics festival in the UK. They’re great examples to us all. 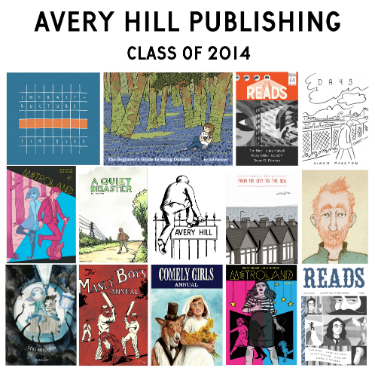 Avery Hill are most definitely in my fave top 3 publishers, alongside Myriad and Oily Comics. Great to read what Ricky has to say, cheers for showcasing, Andy.